The cast of Riverdale appeared on The Tonight Show Starring Jimmy Fallon on October 3, 2017, where they talked about Jughead's hat (there's only one and it smells), completed a Milkshake Challenge, and played a game of "Search Party" (basically "Family Feud") against the Cyrus family. There wasn't a Disney question, which felt like a missed opportunity. 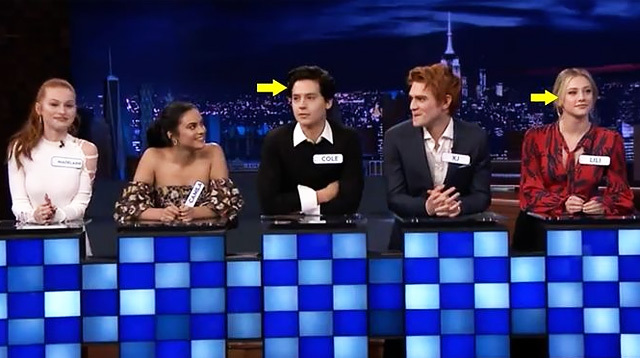 It was all cute, but if you were watching to analyze Cole Sprouse and Lili Reinhart's body language, you'd have been disappointed. And not just in yourself. They were playing it ~so cool~ they barely made eye contact.